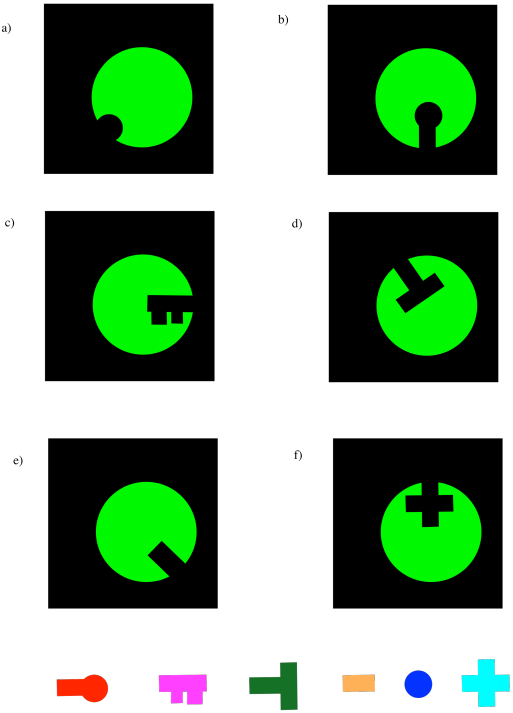 The lock-and-key model of enzymes says that enzymes bind specific molecules and carry out reactions on those molecules. The enzyme recognizes the shape of its substrate and it is able to hold it in position in what is called the active site. The active site is the part of the enzyme that binds the substrate and carries out the reaction. Enzyme specificity means that the enzyme only binds certain molecules that have the right shape. It will leave other molecules alone. Once the molecule is bound, the enzyme carries out some change in the molecule. It might add new pieces on to the molecule or else take pieces off. After it carries out its work on the substrate, the products will be released. The enzyme is then regenerated into its original form and is ready to bind another substrate. An enzyme is an example of a catalyst. It provides an alternative pathway for a reaction. It gives the substrate the tools to undergo a reaction that might not be possible otherwise. As a result, the reaction occurs much more quickly in the presence of the enzyme. However, one of the key features of a catalyst is that it remains unchanged at the end of the reaction (or, strictly speaking, it is regenerated into its original form). When the enzyme is finished with the substrate, it is ready to bind another one and repeat the process. Identify the substrate that fits in each enzyme below. So far, we have been looking at some cartoons to get the idea of enzyme-substrate specificity. If you know anything about small, organic molecules, you may have some ideas about how their shapes might vary in reality. Maybe the substrate is chiral; the enzyme might bind the substrate but not its enantiomer or diastereomer, because those molecules do not have exactly the same shape. Fitting the wrong enantiomer into an enzyme might be like fitting a left hand into a right-handed glove. Otherwise, functional groups on the substrate play a key role in binding to the enzyme. The functional groups are responsible for the intermolecular attractions between the substrate and the active site. We have been thinking of the active site as a very specific shape, like a circle or a square. In reality, it is often a fold or an opening in the enzyme, a space where a small molecule might settle down. The amino acid side chains in that active site are situated to hold the substrate in place. Once everything is in place, the enzyme can get to work. The following are some hypothetical small molecules and their potential binding sites. In each case, orient the molecule within the binding site in order to maximize binding interactions. Things may be more subtle, still. Sometimes, binding a molecule causes a change in the shape of the enzyme. Enzymes are very large molecules. They are composed of long chains of amino acids; you can pictures those chains sliding past each other to make room for a guest molecule or to bind it more tightly. Frequently, enzymes are composed of more than one protein, stuck together, adding to the complexity of their shape. 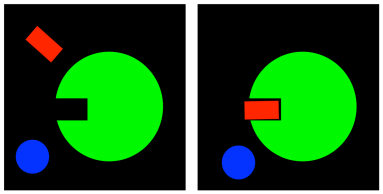 As a result, when a molecule binds to an enzyme, various changes might occur to trigger a reaction. These changes in shape of the enzyme occur via conformational changes in the protein. Simple rotations around bonds cause changes in shapes of even small molecules. In large molecules such as proteins, these changes in shape can be dramatic. 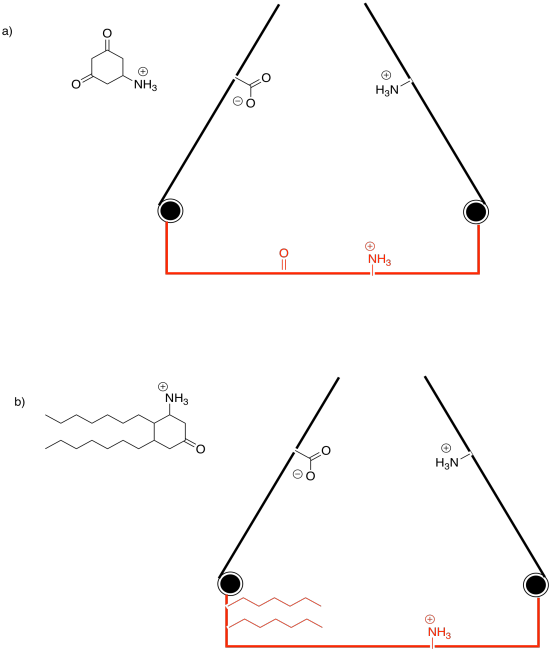 Binding the substrate in the active site (red) will cause one of the gates to close. Which one?